In March 1917, the Russian Tsar Nicholas II Romanov abdicated. A year and a half later his life and the lives of his family were cut short at the hands of the Bolsheviks. The details of the execution of the Romanovs may have remained in shadow forever had it not been for the investigative work carried out by Nikolai Sokolov, whose papers later formed the basis for a further probe by the Russian authorities after the collapse of the Soviet Union. A little-known figure in Russian history, in many respects the story of Nikolai Sokolov differs little from millions of other provincial Russians who rose to regional prominence in the latter days of the Russian Empire by dint of their education and ambition. However, it is due to this man that the world can now be sure that it knows the full story of the death of the last Russian tsar. Sokolov was born in the province of Penza (350 miles southeast of Moscow) on May 22, 1882 and received a degree in law. Before the revolution, he served as a court investigator. By 1917, he had risen to the post of a major case investigator at the Penza district court. After the revolution and the overthrow of the monarchy, he remained faithful to the old system. "Having taken sick leave, Sokolov went to Siberia," says Vladimir Solovyov, a senior investigator and criminologist of the Main Department of Criminology at the Investigative Committee of Russia and the man who headed the reopened investigation into the case of the murder of the Romanovs from 1993 to 2011. Beyond the Urals, Sokolov met with representatives of the Siberian government, which was organized by the White Army during the Civil War, and was subsequently hired by the Prosecutor's Office of Irkutsk and, later, Omsk. He found himself in Yekaterinburg with the army of the Siberian government, eight months after the Bolsheviks had executed Nicholas II along with his family in the same city. "On February 5, I was summoned by the Admiral [Alexander Kolchak, White Army commander – RIR] ... and entrusted with the investigation," Sokolov wrote. He realized that he had been assigned a case that would become of crucial importance for the history of the whole of Russia. "In our judicial work, we often seek the truth, operating with well-known facts. They have a special character here – they are historical facts," he wrote later in his book, Ubiistvo Tsarskoi Semi (“The Murder of the Royal Family"). Now it is clear it would be difficult for our contemporaries to understand the events of that time without his evidence. "The main achievement of Sokolov was that he was able to prove that the royal family was indeed shot," says Solovyov today. "There were a variety of theories about the fate of the Romanovs at that time, including those that led to the appearance of false heirs." Both testimony and physical evidence led to a single conclusion: "The murder took place on July 17," Sokolov would write later. As we now know, the Bolshevik officers of the Cheka (the predecessor of the KGB), anticipating the entry of White troops in the city and fearful that the royal family would be rescued, took the family and the members of the household into the basement of Ipatiev House, where they had been kept under house arrest since April 30, and shot them. Since time was of the essence, after executing their prisoners they took the dead bodies of the Romanovs from Ipatiev House to the village of Ganina Yama, where there was an abandoned mine. "The investigator found a large number of small chopped and burnt bone fragments, things and objects that have been identified by persons close to the royal family," historian Lyudmila Lykova says. At the time Sokolov came up with the suggestion that the bodies were burned, but this conclusion was later disproved. It turned out that after unsuccessful attempts to burn the bodies, the Cheka officers buried them. Even when the Whites were forced to retreat to the east after suffering a series of defeats, Sokolov did not call a halt to the investigation. He collected priceless documents, preserved them and took them out of the country, Lykova says. The documents were sent to France in two parts; on a warship and in a special carriage with diplomatic seals. Sokolov himself left Russia for Paris in March 1920. 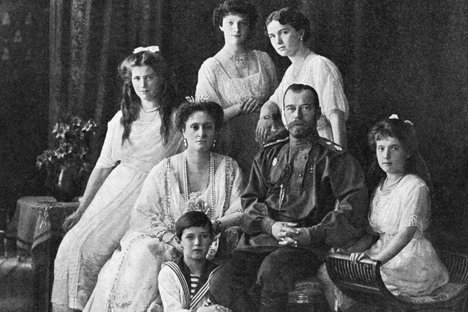 In Europe, the relatives of the Romanovs distrusted the investigator; they believed that the Tsar's family was alive. In the last years of his life, Sokolov prepared a full report of the investigation for Dowager Empress Maria Feodorovna, the mother of Nicholas II, and wrote his book based on the investigation. There is evidence that the investigator wanted to secretly return to Russia and to continue the investigation. Sokolov died at the age of 42 in France in 1924.